Relax and let things happen naturally. 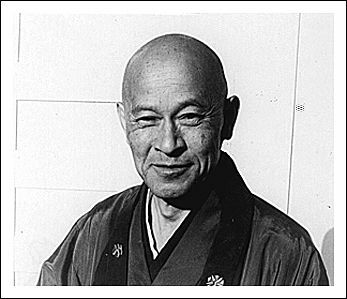 That is the essence of what Master Suzuki is saying above. As you continue with your meditation practice, on its own, unexpectedly enlightenment will gently blossom. Nothing more is needed except earnestness. Sincerely continue on, without contributing to gaining ideas and dualistic ideas. This is the core of Zen and the core of Advaita Vendanta. Don’t contribute to reward oriented thinking and don’t contribute to ego-centric thinking. In other words, don’t let behavior betray belief. Live as much as possible as if all is One. If you see yourself as a separate person, you will see lots of separate people, but if you see all as just a part of you (or everything as just an expression of the Universal Oneness) then that dramatically changes the scenery. Don’t emphasize the ego or chase results, instead just reside as a detached witness, silently watching everything play itself out. At the end everything will take its natural place. 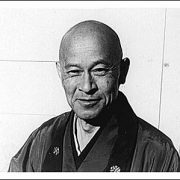 The person that you think you are will go about his or her life spontaneously and the Oneness will be where your awareness is established – that is true zazen.